Along the southern coast of Miyazaki prefecture is a road that snakes between the ocean and the mountains. You can find a lot of history and culture along this road, as well as unique geography. 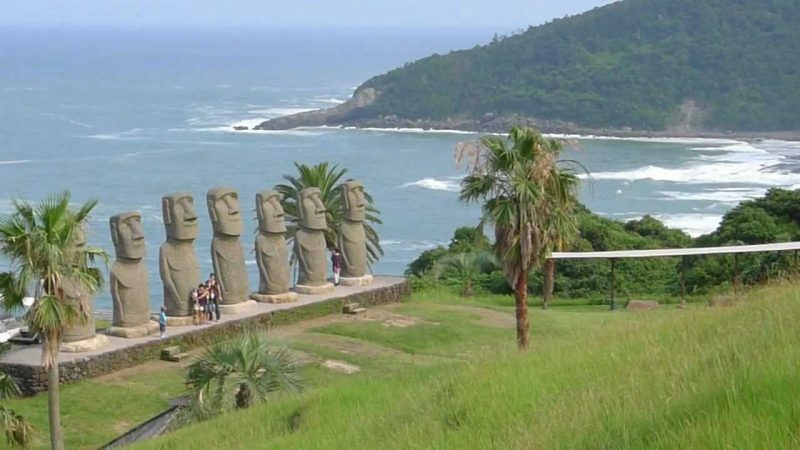 But one of the more curious and seemingly random stops is Sun Messe, the only place in the world besides Easter Island where you can find official replicas of the Moai statues. Sun Messe park is built on the side of a mountain and includes a nature museum as well as food and souvenir shops (including sakura ice cream!) It also provides a gorgeous view of the ocean and surrounding shoreline. In celebration of the first full moon of the fall, Sun Messe hosts a moon-viewing festival where families can gather together, enjoy music and festival food (and the occasional beer) and simply just look at the moon. It’s a great atmosphere and great fun. Side note: In case you didn’t know, there is no “Man in the Moon” in Japan. 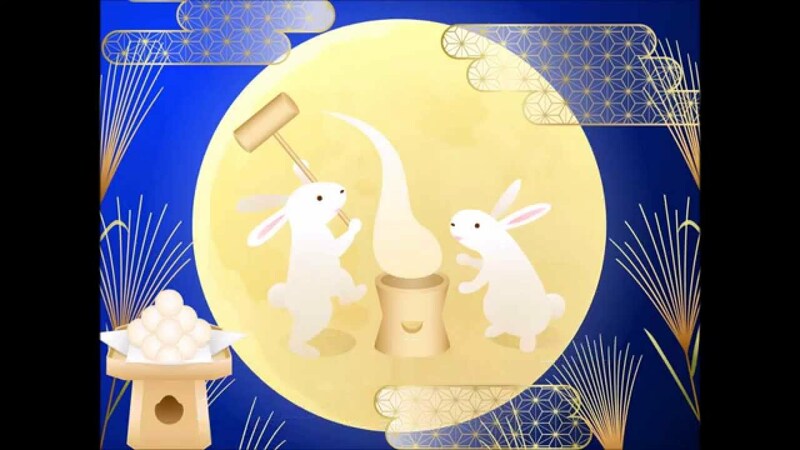 Instead, they see rabbits making mochi with the traditional hammers and pestle. Much cuter and way less creepy, in my opinion.